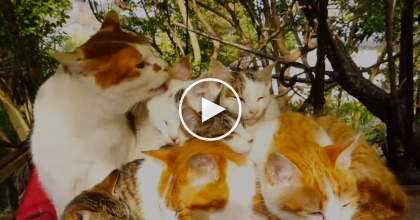 This man plays his accordion just for his cat and when you see how the cat responds back to him, your heart will just melt to pieces – cats really do know how to say “thank you” and sometimes it’s just TOO cute for words to describe! This adoring sweetheart of a kitty is obviously in love with the music and his loving owner – The way this kitty places his paw on him as he plays is enough to keep a smile on your face all day long – AWWWWWW!! 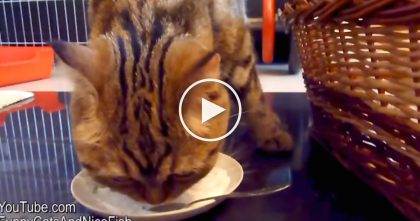 This is beautiful, but kitty’s response is the CUTEST thing ever… Just watch the video! This is the cutest response to an owner playing music I’ve ever see—SHARE this story with your friends if it put a smile on your face! 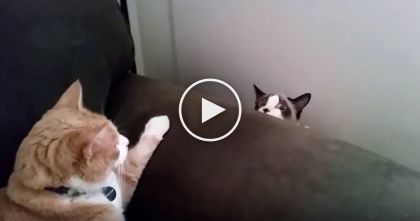 Kitty Was Relaxing On The Couch, But Then All Of A Sudden… Now I Can’t Stop Laughing, OMG. 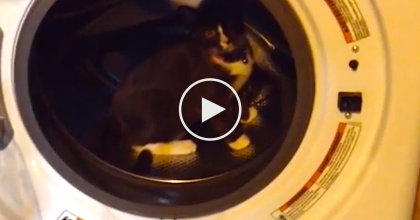 Their Cat Jumped Into The Washing Machine, So They Grabbed The Camera…I CAN’T Believe This! 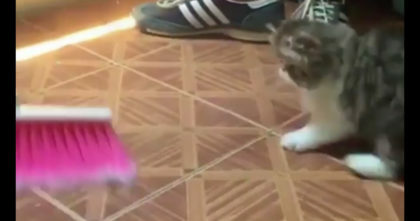 Watch The Kitten’s Bouncy Reaction When He Notices His Human Sweeping The Floor… Hahahaha! !